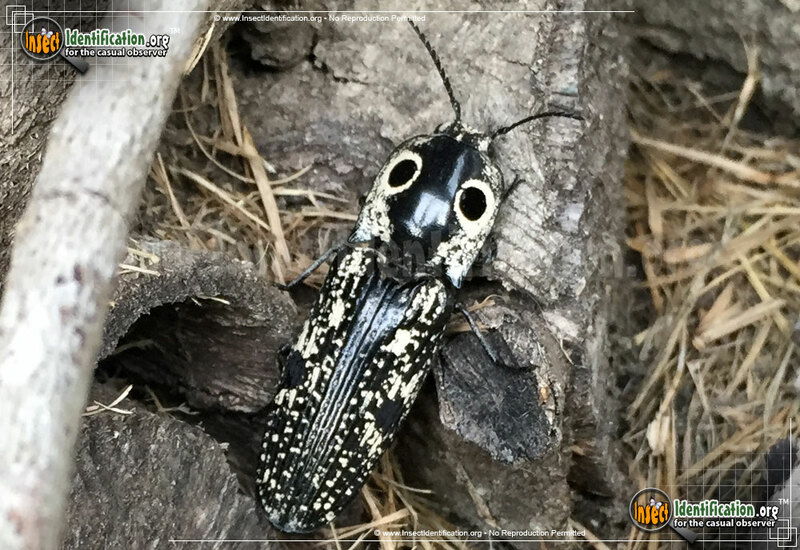 Detailing the physical features, habits, territorial reach and other identifying qualities of the Southwestern Eyed Click Beetle. The black and white Southwestern Eyed Click Beetle is at home in the arid southwestern part of the continent. 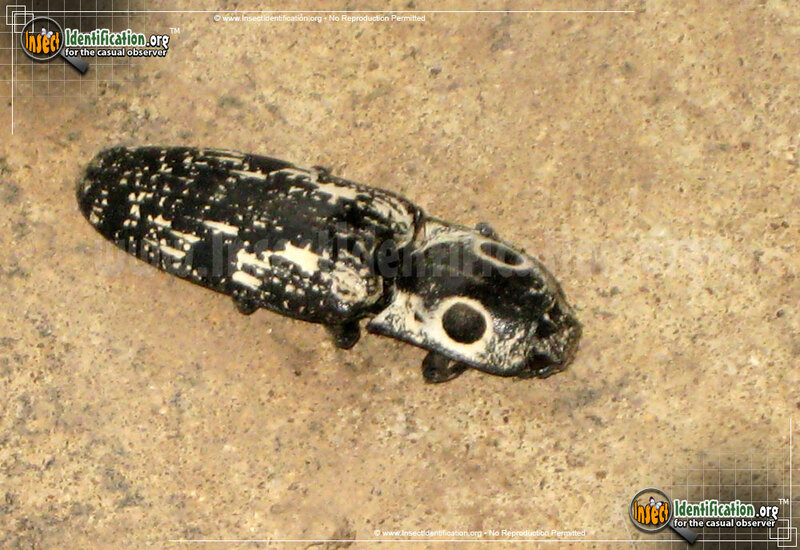 This species of click beetle has two large black 'eyespots' on its pronotum. Each eyespot is surrounded by a thin, white ring. A simlar-looking relative, the Eastern Eyed Click Beetle , has a bit more white speckling on the elytra (wing coverings). Both species are loyal to their own ranges and are not found in the other's region. The larvae of the Southwestern Eyed Click Beetle are also called wireworms because of their narrow, tubular bodies. They eat plants and other living things found in the soil. They are known to damage crops, making their presence a nuisance to farmers and gardeners. Adult beetles do not eat very much and are often found on freshly trimmed trees. 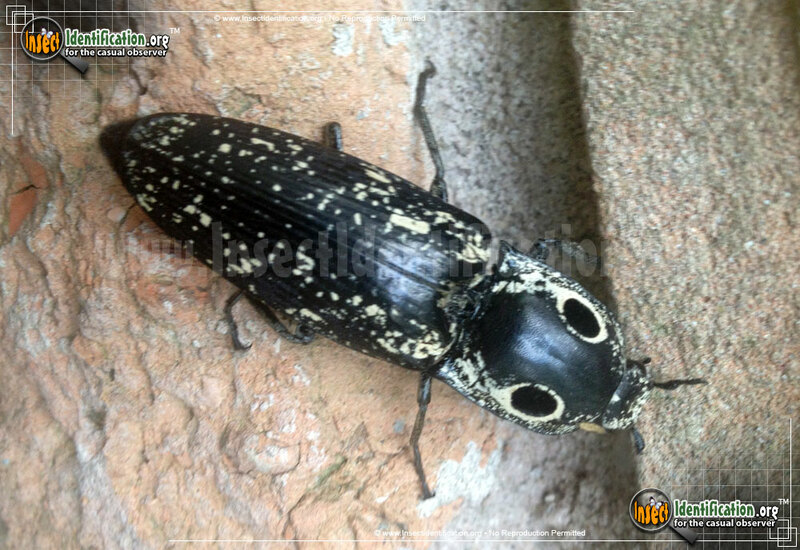 Click beetles get their name from the sound they make when they flip themselves upright. The loud click is made when they snap a 'spine' found under their thorax. This motion helps turn them right-side-up if they find themselves in the undesirable and vulnerable position of being on their backs.